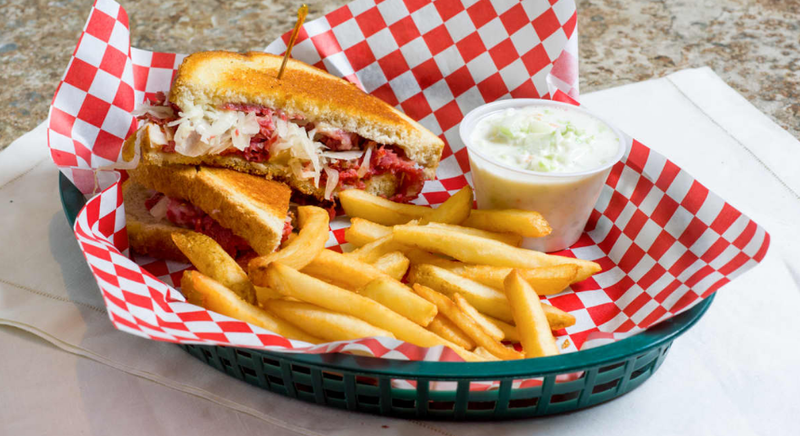 Grilled Corned Beef & Sauerkraut, Swiss Cheese & Thousand Island Dressing on Grilled Rye Bread. Substitute Turkey. Served with Potato Chips.